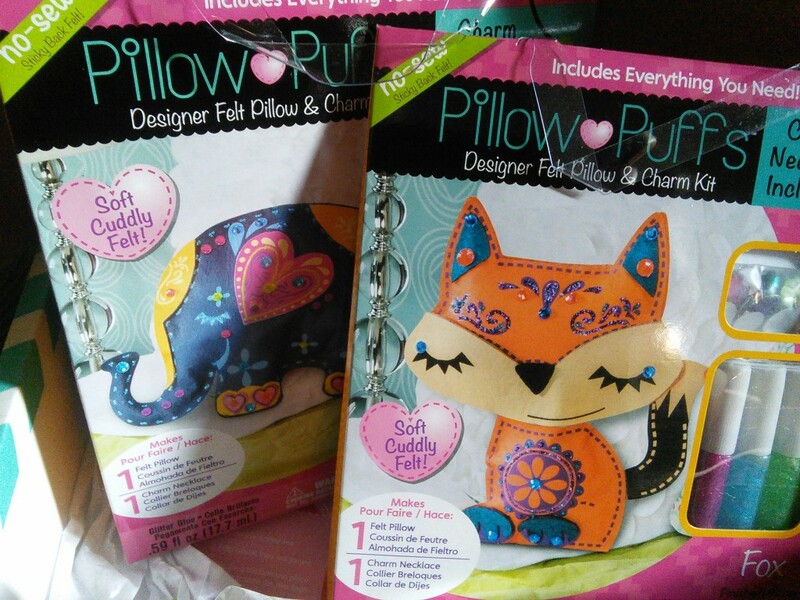 Pillow Puffs kit reviews – I Say! I was pretty lucky and a couple of people subscribed to the Darby Smart craft subscription box after seeing my last review. This meant that I got a $15 credit from Darby Smart which I used to buy these pillow puffs kits. Camila, my 10-yo, is very much into foxes this year, and I’m a huge elephant fan, so this had us both covered. Darby Smart offers free shipping and the kits arrived to my home in California a couple of days after I ordered them. They are $8 each and one or two would make a great birthday present. These kits allow to make two small stuffed animals without having to sew them. They are not really stuffed animals of the kind you hug, they are best for decoration, but they are extremely cute. Making them was quick and rather fun for my daughter. Each kit includes two pre-cut and pre-printed pieces of felt, some sticky pre-cut felt pieces, stuffing, three glitter glues and a few decorations. The instructions are common to all pillow puffs kits, but they have you do things in the wrong order. 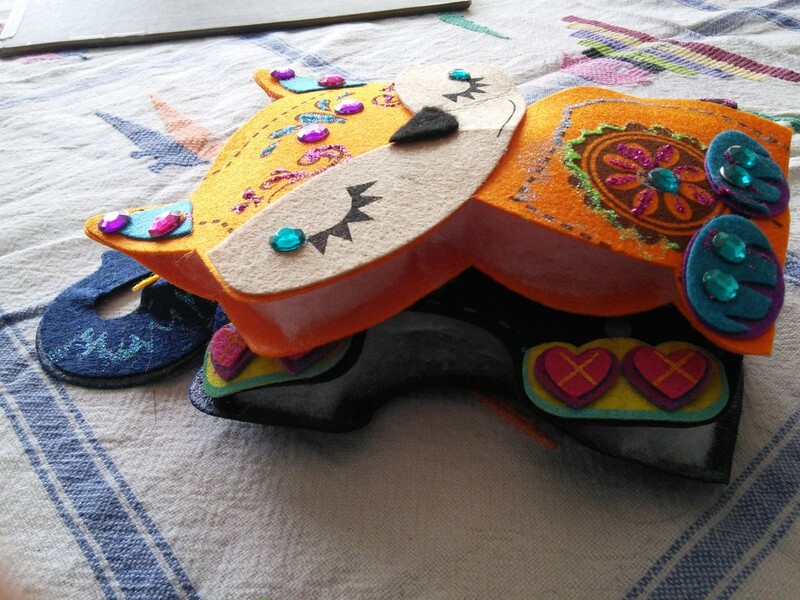 In fact, you should decorate the top animal piece first, following the example on the box, and only after it’s done and dry you should add the stuffing and glue it to the back side. Otherwise you are working to decorate an uneven surface. The first kit we tried was the fox and, unfortunately, the printing on the top felt of piece was tilted. That meant that she couldn’t decorate it to match the picture on the box. If you take a look at the finished fox in the bottom picture, you can see how only part of his left eyebrow is shown. My daughter was very frustrated about this, but the finished product was cute enough. The elephant was printed correctly. The glue just wasn’t sticky enough to make up for the push from the stuffing. My daughter chose to glue them using a glue gun, which was not the tidiest of choices. However, she loves using the glue gun and it worked quite well. 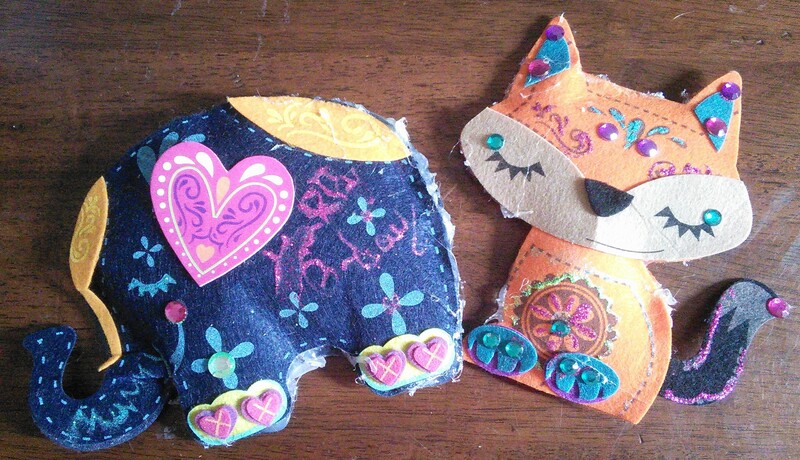 Regular glue might have worked as well and, of course, they can also be sewn. All in all, this was a fun project and my daughter finished both in an hour.